Call today on this BEDFORD STONE one owner home that has remained smoke and pet free. HUGE 2.5+ GARAGE (28ft x 30ft) and oversized rear concrete parking pad are a nice addition to this home. Seller estimates the cost was around 20K when the garage and concrete pad were added. Custom built 12 x 16 cedar storage shed with metal roof, electric and plenty of shelving. Full length covered rear porch provides the perfect place to relax this summer. Nice size fully fenced rear yard with garden area. 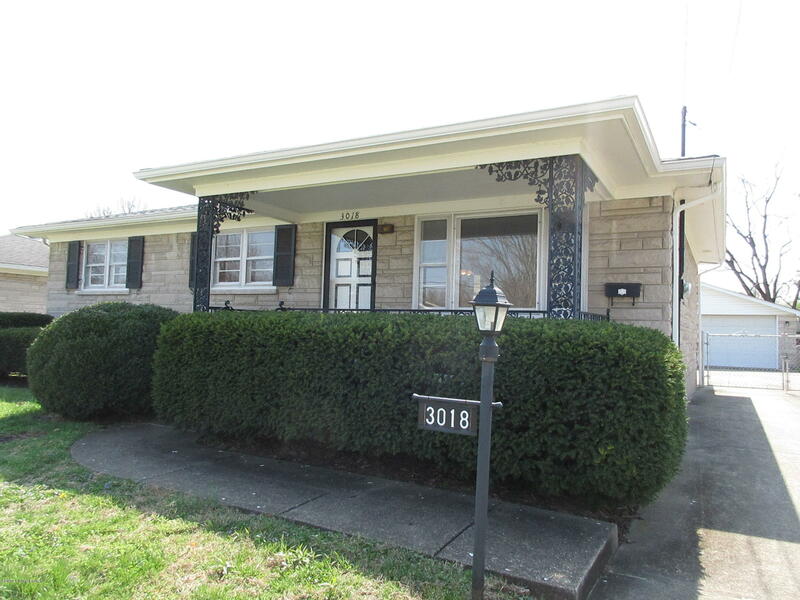 Charming covered front porch provides a welcome entry into the nice size living room. Eat-in kitchen has GE side by side refrigerator with ice maker and Frigidaire 4 burner electric stove. Window over kitchen sink keeps backyard in full view.